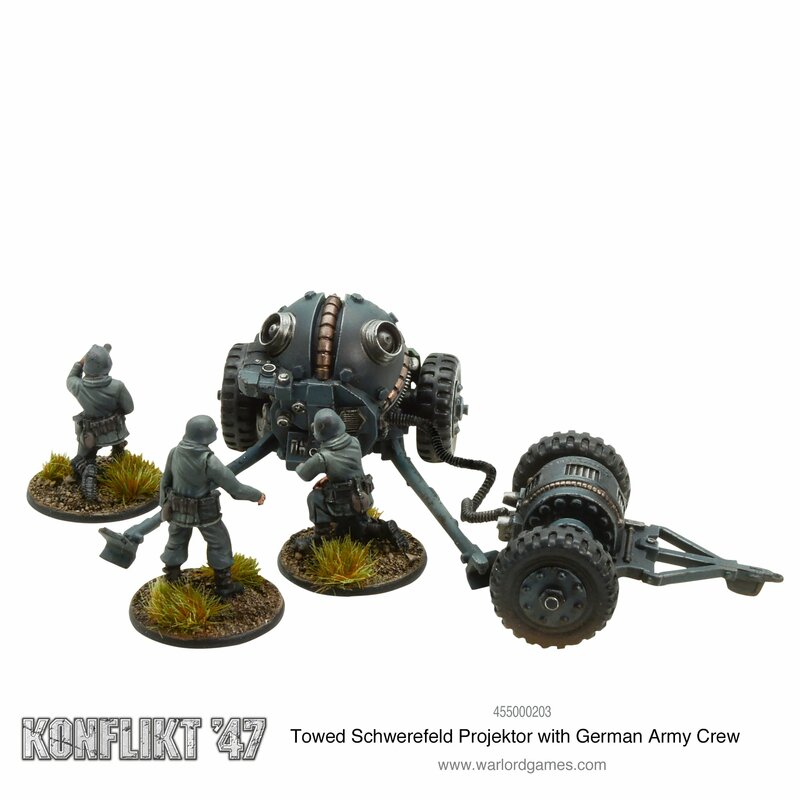 Warlord Games haben wieder einige Neuheiten für Konflikt ’47 in ihrem Shop. 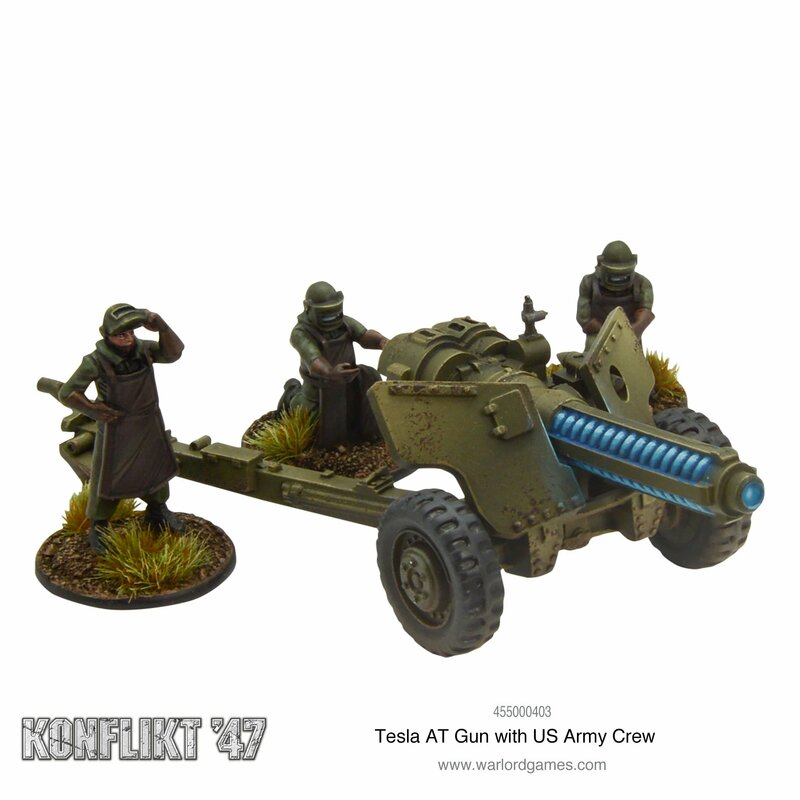 The Tesla cannon being deployed on a Sherman chassis, research continued into miniaturising and enhancing he clearly potent technology –in particular the size of the power packs needed to generate sufficient charge. Infantry versions were workable for far lower power weapons, but a breakthrough in January 197 resulted in the first practical trials of lighter, towed weapon systems. 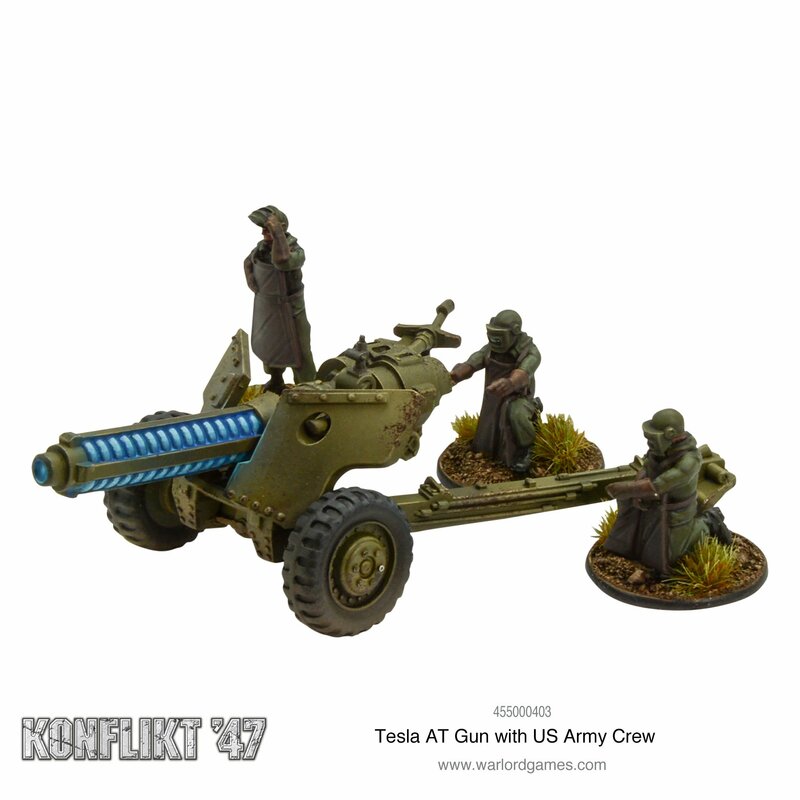 By June 1947, a towed Tesla anti-tank gun was deployed in combat. The bulk of these weapons have been deployed to Armoured infantry formations. Improvements in Rift-tech power sources have enabled the scientific minds in Dresden to gradually reduce the size of the earliest Rift-tech weaponry. 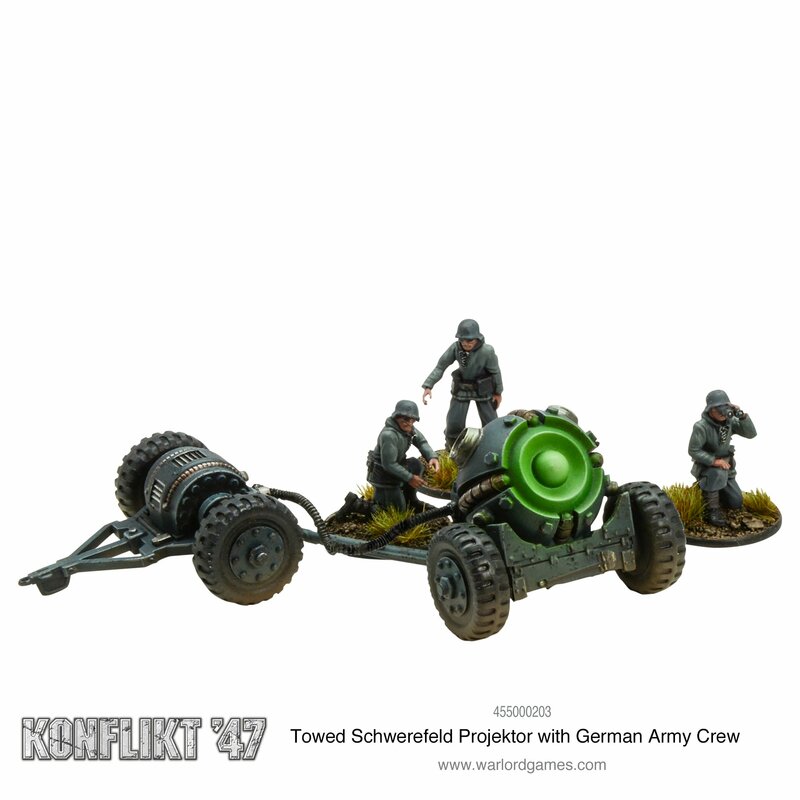 One such system is the Towed Schwerefeld Projektor, the placing of a projector weapon system onto a towed artillery mount with a separate power unit also towed by the same vehicle. 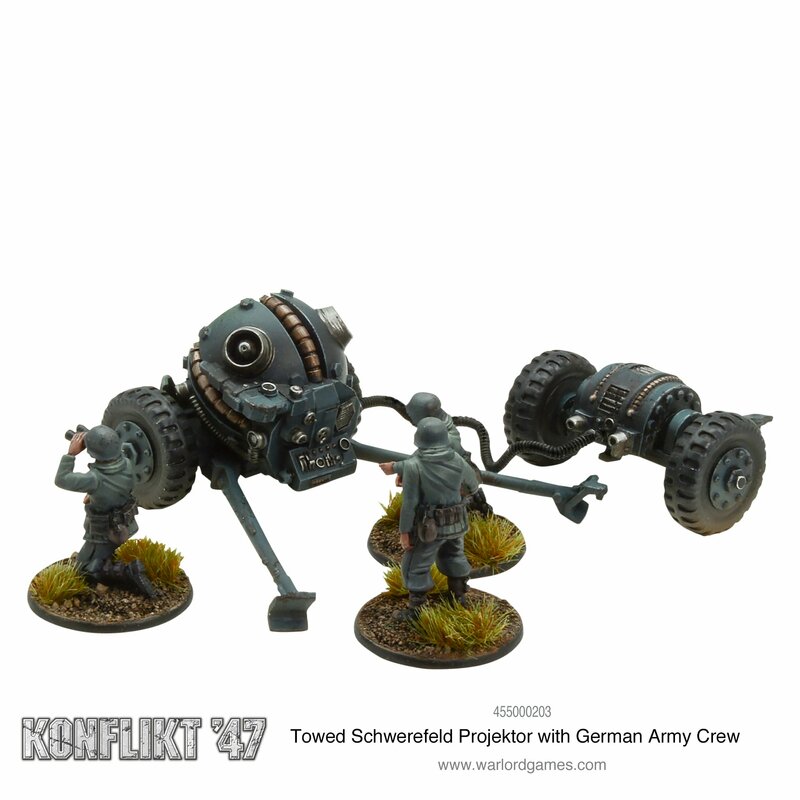 Entrusted to, and crewed by, the new elite Heavy Armoured Infantry, it has replaced some PaK 40 guns in many Heavy Infantry units as it is lighter and easier to manoeuvre.